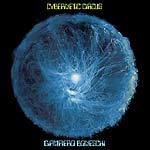 Vinilisssimo present a reissue of Giampiero Boneschi's Cybernetic Circus, originally released in 1973. Giampiero Boneschi is a complete musician: he composes, arranges, directs, acts as a producer, and also plays the piano. But he is also an adventurous artist who has managed to combine his work with vocalists, jazz or even easy listening music with other highly experimental projects. His name is familiar to library music fans, and his recordings for Music Scene, CAM, or Fonit are some of the most desired pieces among collectors of pioneering electronics. In fact, Boneschi was one of the first Italian artists to use synthesizers in the early '70s. This fabulous Cybernetic Circus LP was released in 1973 on the unconventional British label Chapter 1, founded by the composer Les Reed. The album retains part of its original easy listening aspiration but fortunately it also serves to show the sound experiments of master Boneschi. This is an album for lovers of the avant-garde that will also fascinate followers of bands such as Stereolab or Broadcast, who undoubtedly fed on the work of innovators such as Boneschi. "Flea's Dance" is a dynamic song of childish vibes but simultaneously plays about with the frequencies extracted from the synthesizer, achieving surprising results. "Modulation On Theme" and "Psyco-Analysis Lesson" contain aquatic echoes generated with the Moog and filtered voices that become mere noises at the service of the composer. But Boneschi does not always take his recordings to the sonic extreme, so you also find glimpses in which his experiments coexist with friendly melodies, perfect soundtracks for a sequence of a film set on the French Riviera, "Moderato Cantabile", or even approaches to classical music, as in "Synthesizer In A Classic Quartet". Lovers of library music will find in Cybernetic Circus one of the best and most enjoyable examples of early electronic music. Presented in facsimile artwork; 180 gram vinyl.